Aloha and welcome to the fourth and final installment in my four-part series exploring Hawai’i Island, otherwise known as The Big Island! 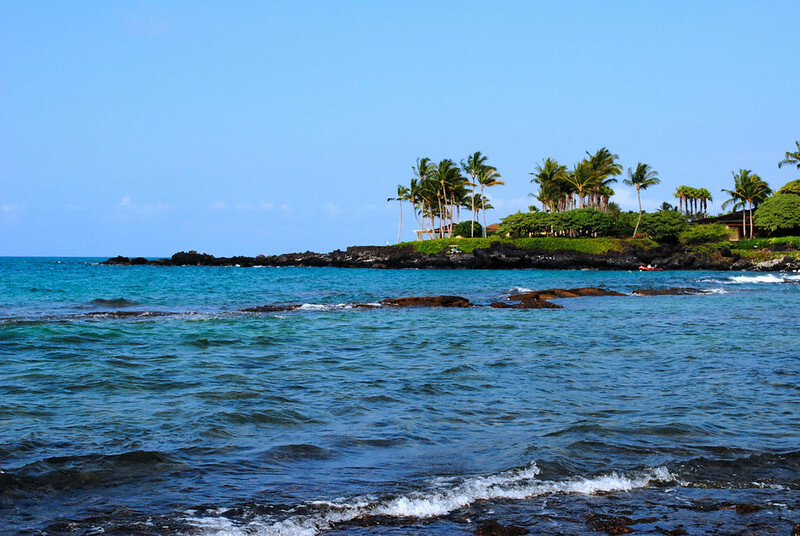 In Part Three, we explored historic Hilo and experienced a couple of can’t-miss adventures! 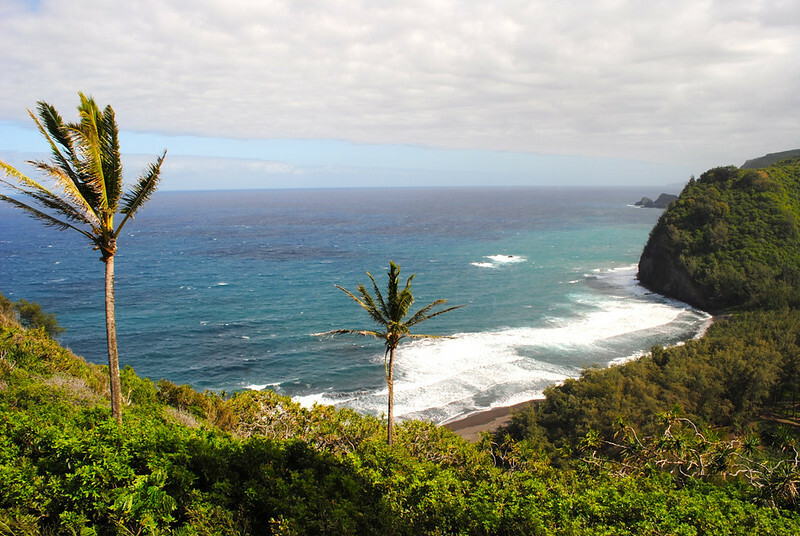 Today we’ll check out some of the Hamakua Coast before finishing on the Kohala Coast, home to some of Hawai’i Island’s best beaches and most extravagant resorts. One of the things I appreciate most about Hawai’i Island is how vastly the environment can differ from one area to another. Seemingly barren deserts, cascading waterfalls, verdant jungles, and some of the most jaw-dropping beaches are all within reach. 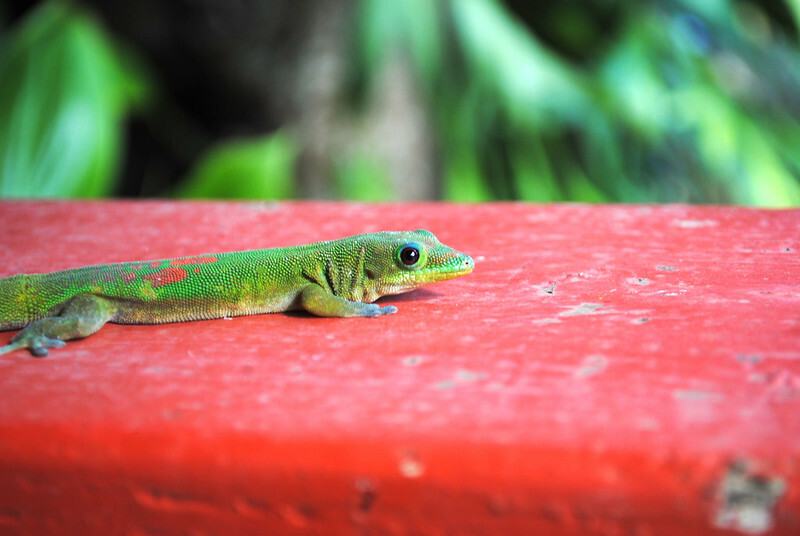 Once leaving the Hilo area and heading north on the Hawai’i Belt Road, the Hamakua coast envelops you with its lush fauna and landscapes carved over time by the elements. 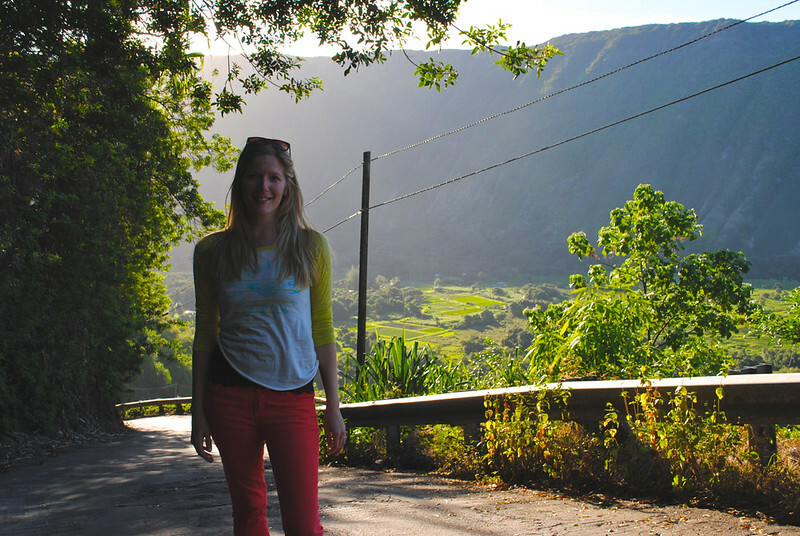 The Waipio Valley is an important place to Hawaiians, being the region where King Kamehemeha I was raised. Known as “The Valley of the Kings,” this valley is as immense in size as it is dramatic in its beauty. Over a mile wide, five miles deep, and surrounded by soaring cliffs on either side, this valley is now home to only a handful of locals. If you’re willing to make the trek, it’s a steep, long way down that I wouldn’t attempt without a 4×4 vehicle. 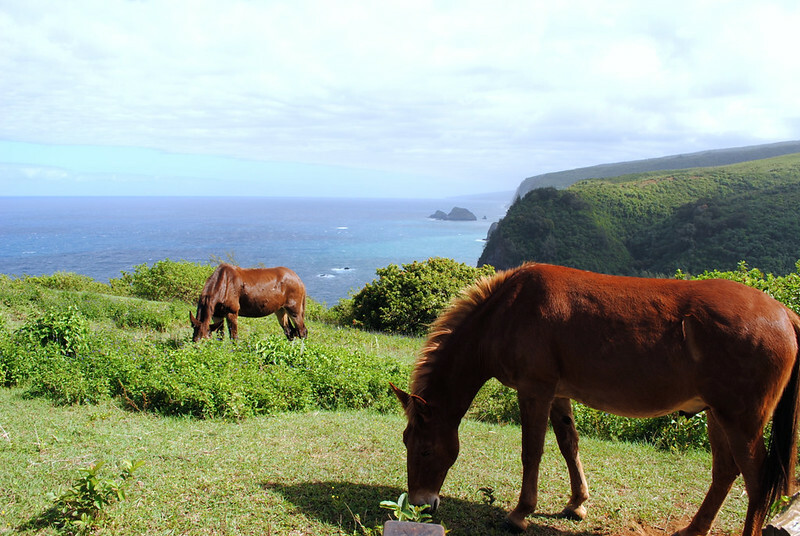 A more adventurous idea would be to take a guide-led horse tour of the Waipio Valley. 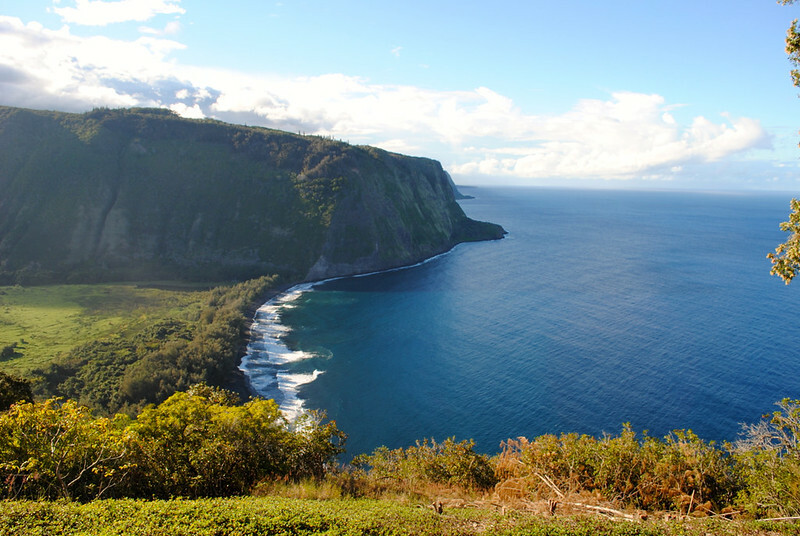 The coastline in this region can only be traversed on foot, but miles west along the coastline lies the Pololu Valley. Known for its breathtaking views out across the Pacific Ocean, it’s rooted by a black sand beach that’s constantly tossed by the thrashing surf of the sea. Horses grazed nearby and I couldn’t resist nuzzling up to one of them. Judging by the fact that my hair became lunch, I’d guess this one was rather fond of me! 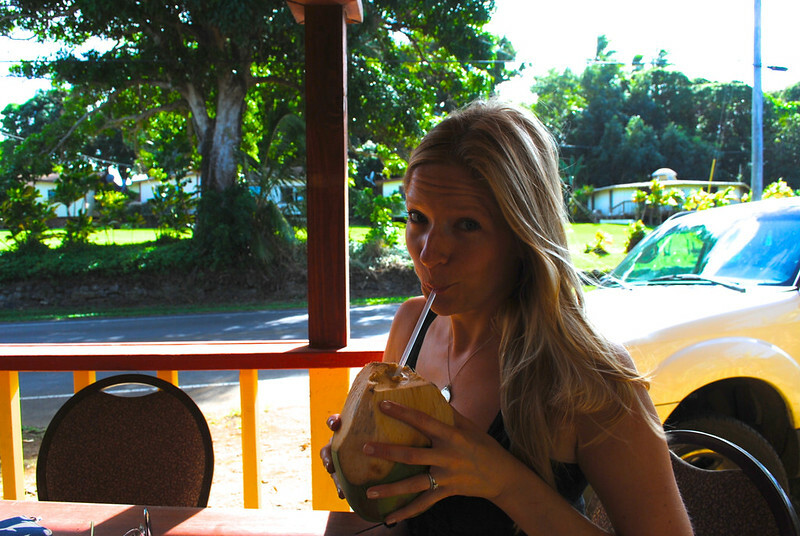 As we wound our way back to Hawi (pronounced “Haw-vee”), J and I stopped at a roadside shack hawking freshly-split coconuts. 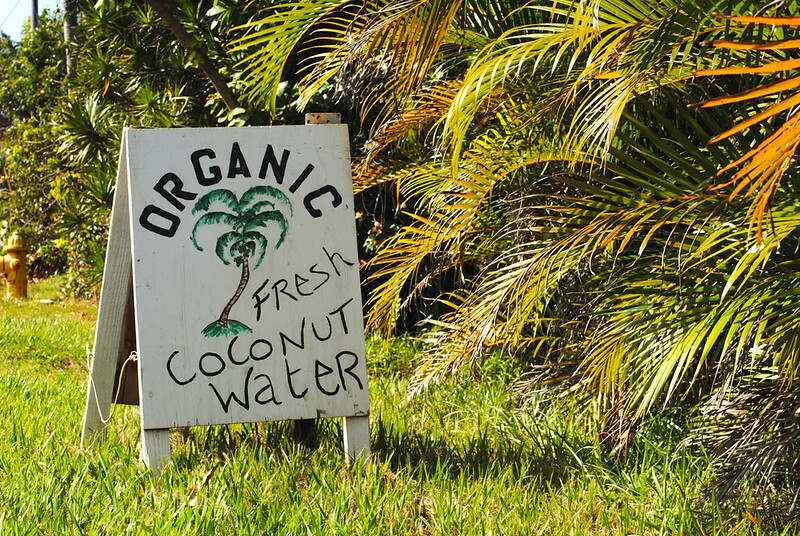 I’ll never turn down coconut water and the smooth “meat” of these sweet treats. Before making our way back south, my husband insisted on a history lesson, and he was firmly set on finding the birthplace of King Kamehameha I. 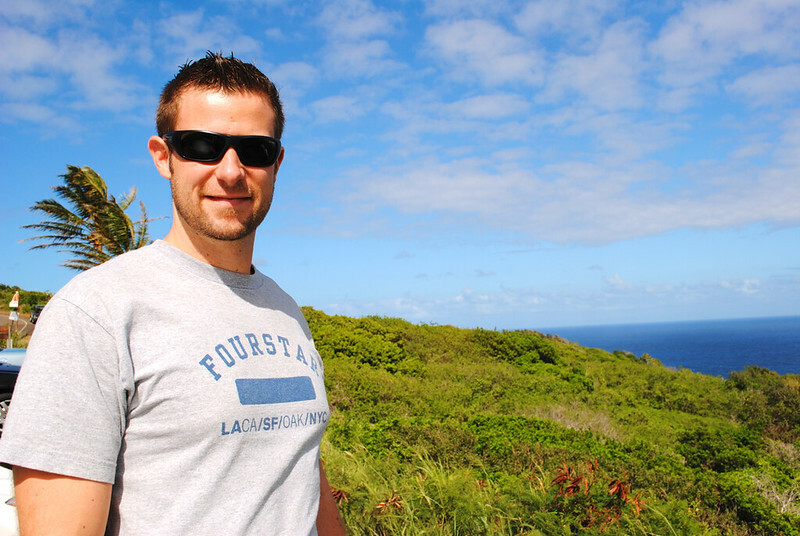 Our guidebook said it could be found at the end of a rugged dirt road, west of the isolated Upolu Airport. 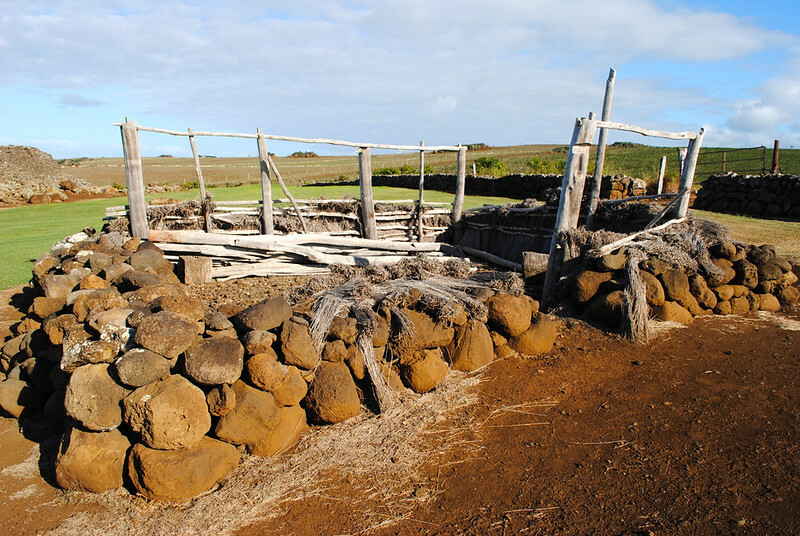 There we also stumbled across the Mo’okini Heiau at Kohala Historical Sites State Monument. J and I were the only two people around for miles in that desolate place; the only sounds breaking the silence were that of seabirds and the relentless wind blowing off the ocean. 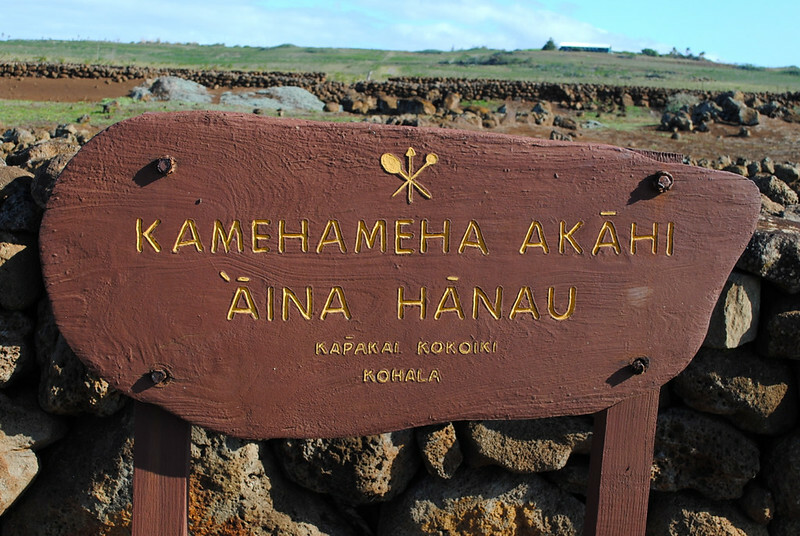 This site is one of the most sacred for the Hawaiian people, and it’s estimated that the original temple at the site is about 1,500 years old. 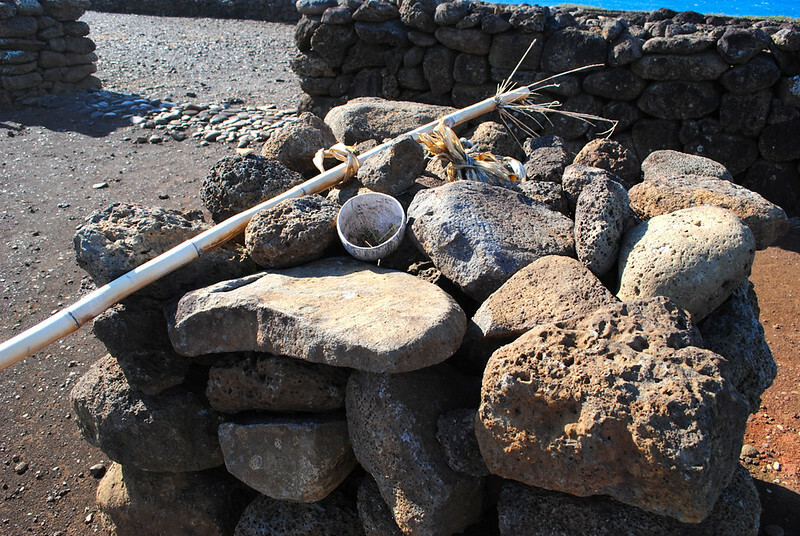 Visiting the heiau was, admittedly, a bit unsettling. 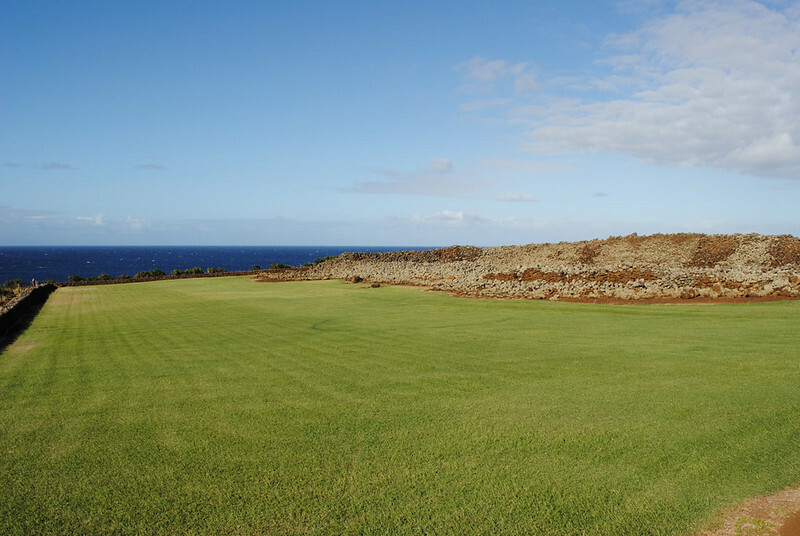 This heiau was designated for the highest Hawaiian chiefs, known as Ali’i Nui, and was the site of many human sacrifices. Eep! 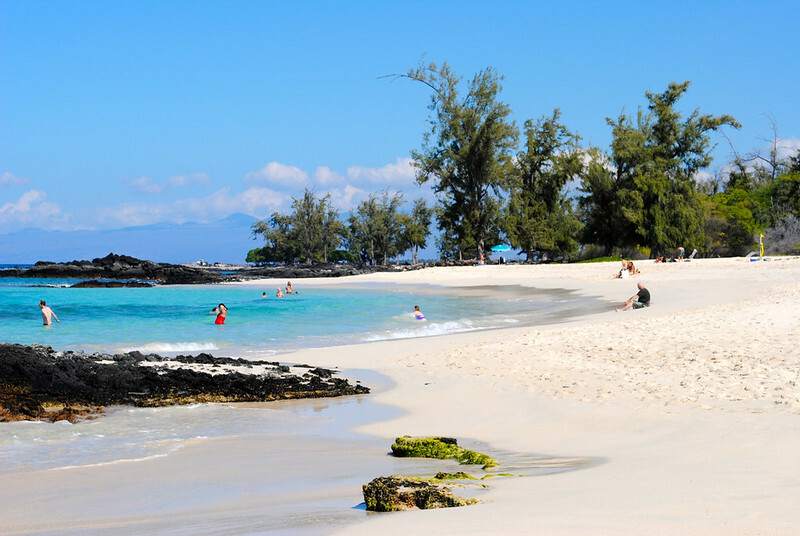 As you continue south on the Hawai’i Belt Road from the Hawi area, some of the finest of Hawai’i Island’s beaches stretch from end to end along the coastline. 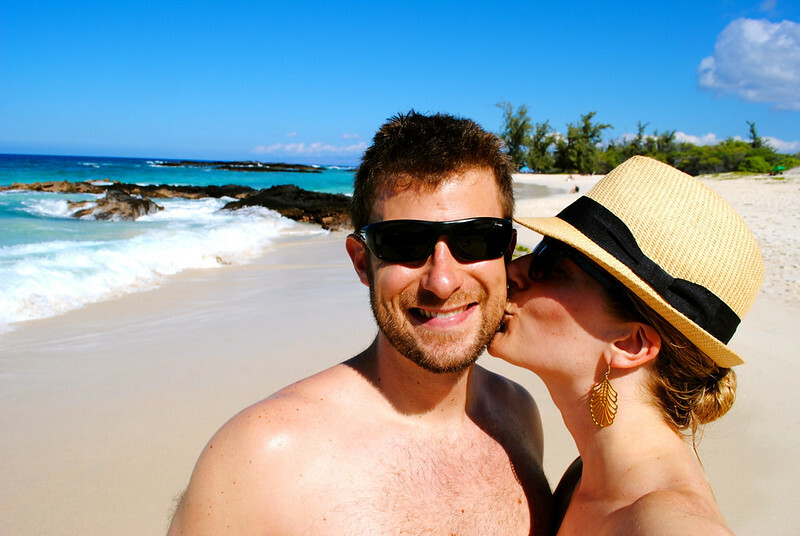 Mauna Kea beach is popular but we visited nearby Hapuna Beach at least twice during our stay. 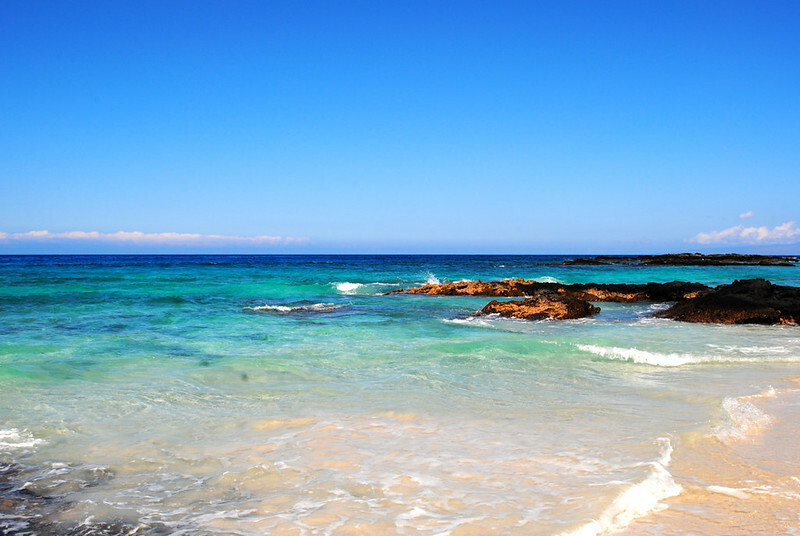 A sheltered bay, Hapuna’s waters are translucent shades of blue that lap the powdered-sand beach. It’s a great spot to bring a picnic lunch and spend the whole day! 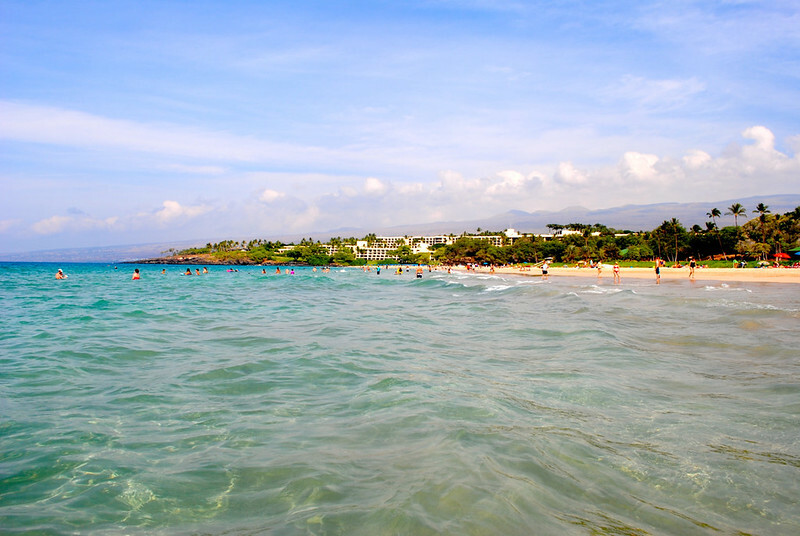 As beautiful as Hapuna was, my personal favourite is Makalawena Beach. 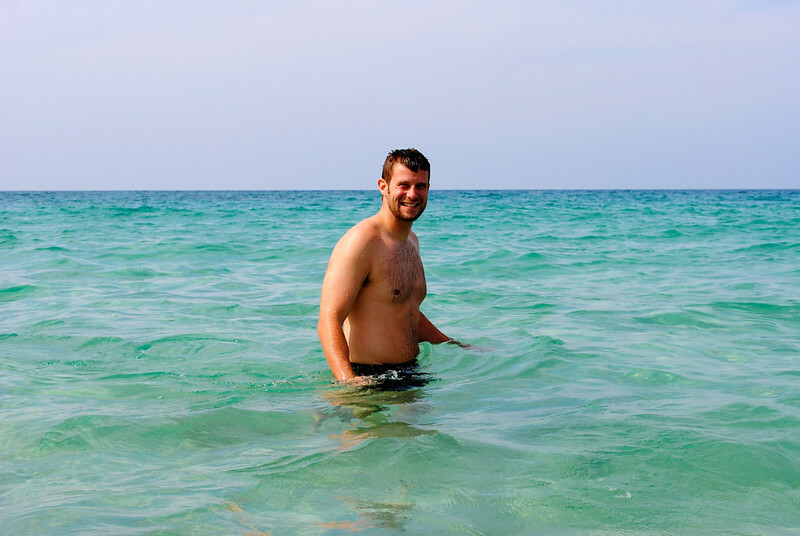 I would argue that this is the best beach on the island, being that it’s private, isolated, and unbelievably gorgeous! However, it can be a bit tricky to find! 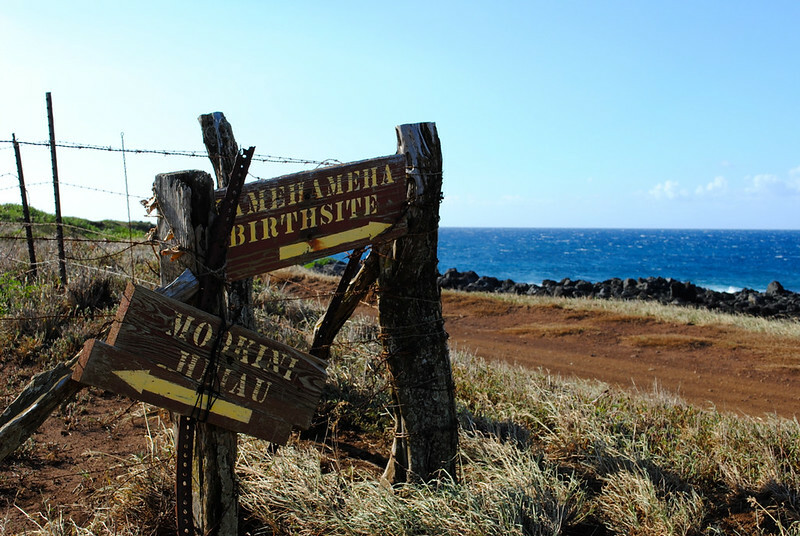 Between mile markers 90 and 91 on Highway 19, turn towards the ocean and drive the bumpy dirt road to Mahai’ula Bay. From there, Makalawena is a 1.1-mile hike across an ʻaʻā lava field. A few trees dotting the shoreline offer shade, and the crystalline waters promise hours of frolicking fun. (Yes, I’m pretty sure you’ll frolic there.) The best part is that so few people are at the beach, most unwilling to make the trek. There are no facilities and the sun can be grueling, but I promise you the journey is well worth it! 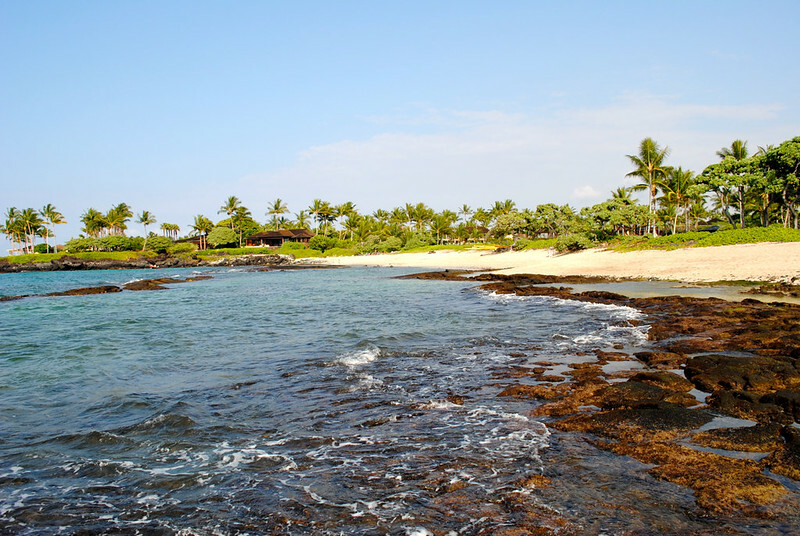 While discussing Kohala Coast beaches, it wouldn’t be right for me to forget Kuki’o Beach. 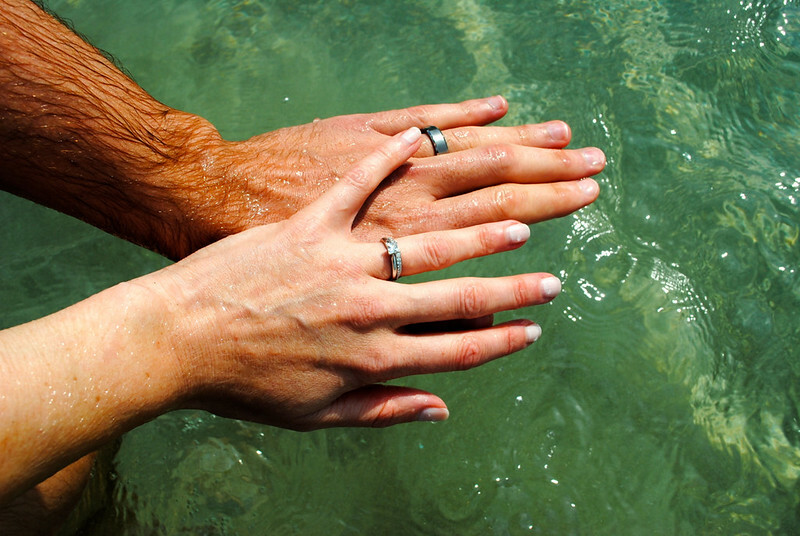 A small crest of sand not far north of Kona, my husband and I picked this beach sight-unseen for our elopement. 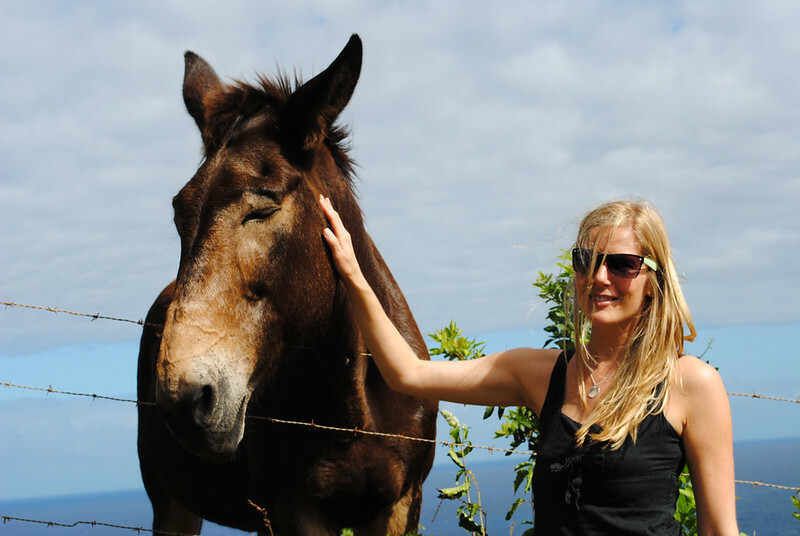 When we had first arrived on the island, we wanted to visit to ensure we’d chosen well, and were blissfully surprised. 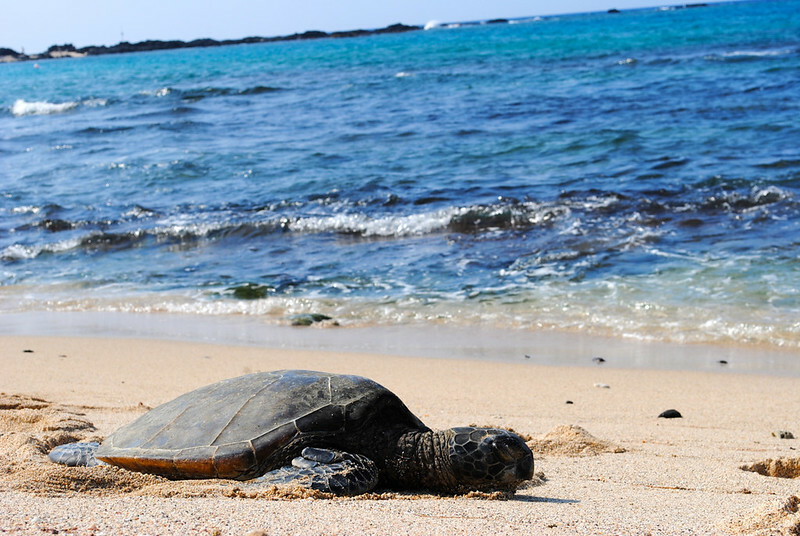 Groves of kiawe, ironwood, and coconut palm trees are hedged around the beach, and its shore is home to honu, green sea turtles, looking for a safe, quiet place to enjoy the Hawaiian sun. On our actual wedding day, we lucked out! So few people were on the beach that day, and our only witnesses were those sleepy sea turtles who wished us well with the flick of their flippers. I’ve saved what is perhaps the greatest Kohala Coast adventure for last. 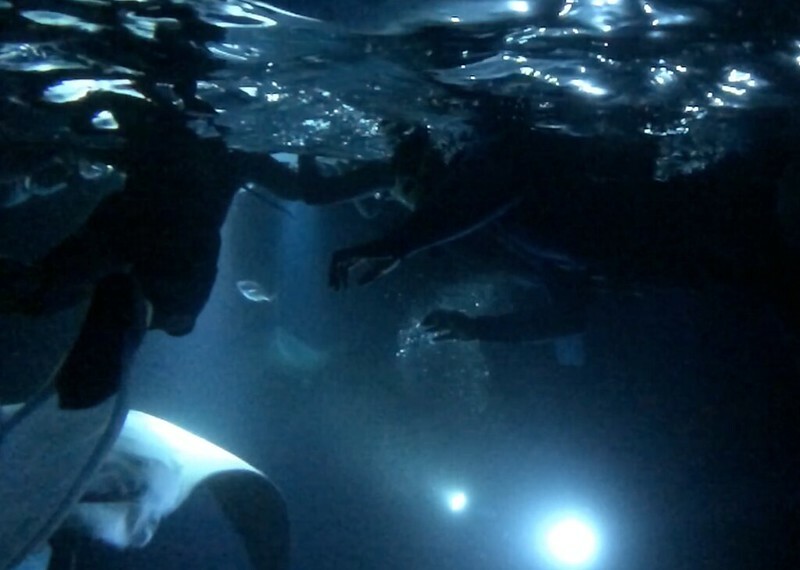 When we were first picking out what activities we wanted to do, we were told that snorkeling at nighttime with manta rays was a must. When I heard that, I couldn’t believe it was actually a thing and wasted no time in signing us up. 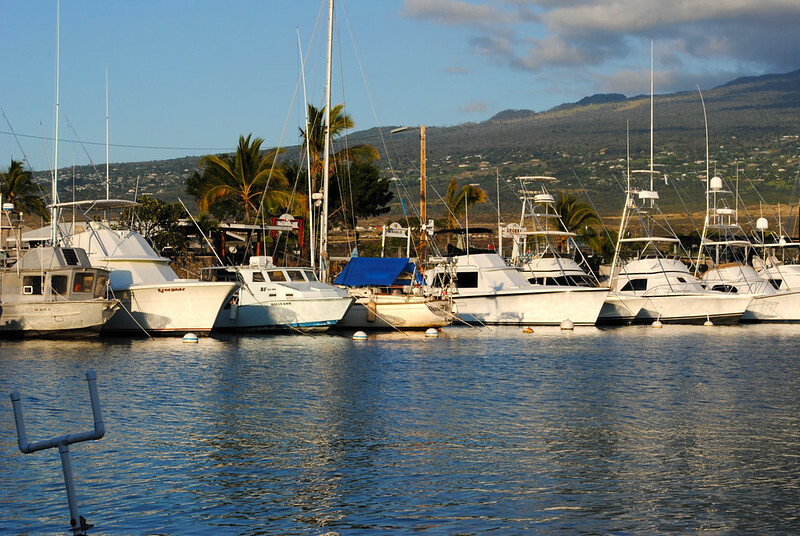 We met the Kamanu Charters team at Honokohau Marina just before sunset and got acquainted with the gear we’d be using and the crew members that would be taking us to sea. 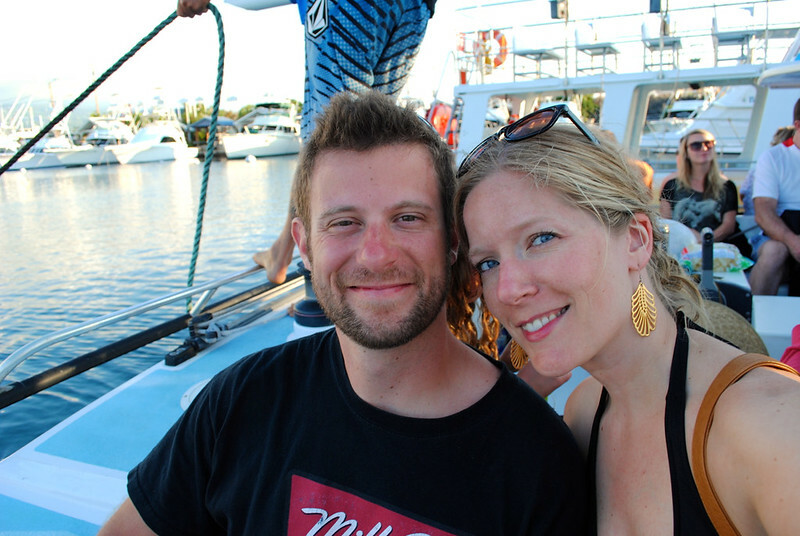 We were joined by several others and, after a safety orientation, loaded onto a catamaran. 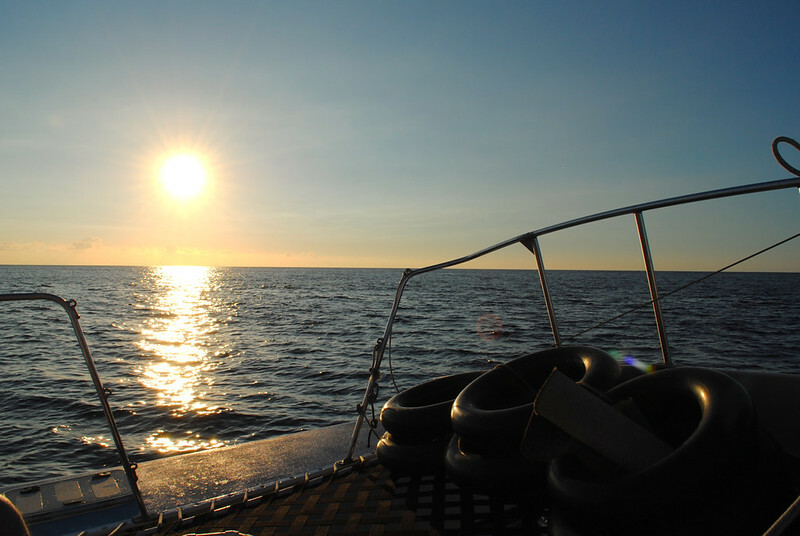 We leisurely sailed up the coastline to Pawai Bay, just in time for the sun to dip below the horizon. 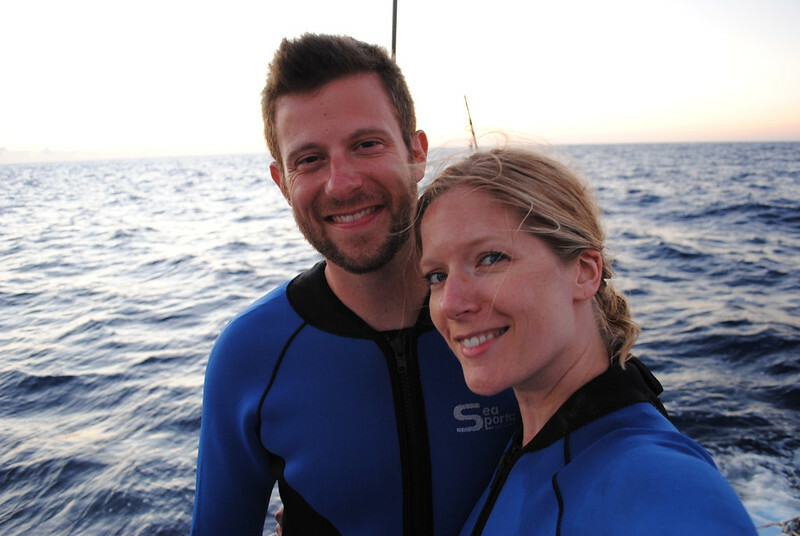 As we zipped into our wetsuits, slipped into our flippers, and sunk into the inky water, I could hardly contain my excitement. 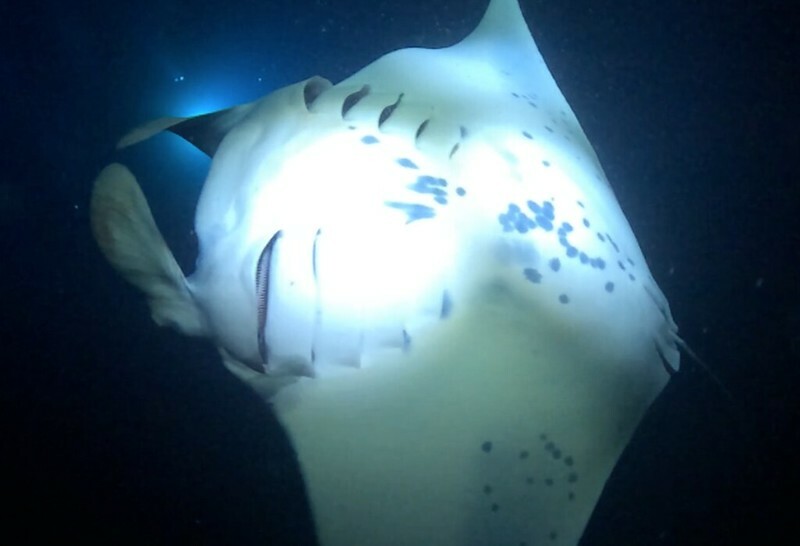 I’m passionate about life under the waves, and found it hard to believe that I would soon encounter manta rays so closely. 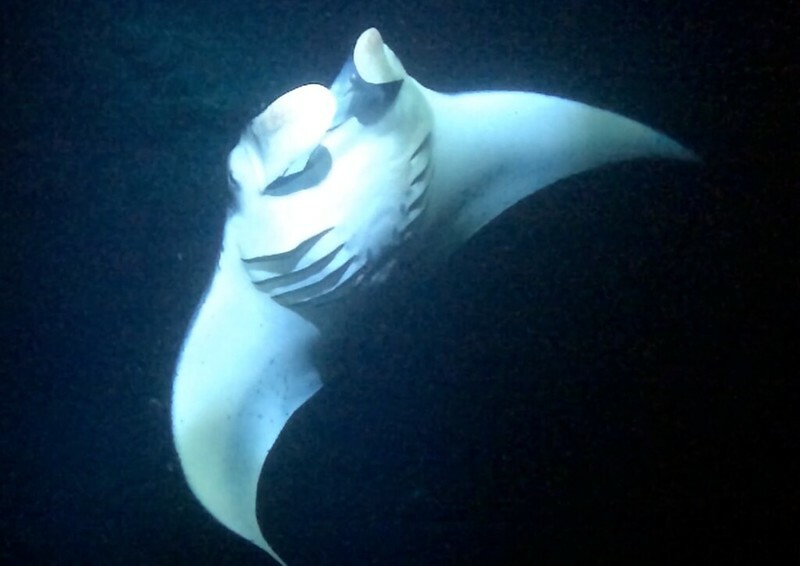 Sharply sculpted, some manta rays can get up to as big as 22-feet across. 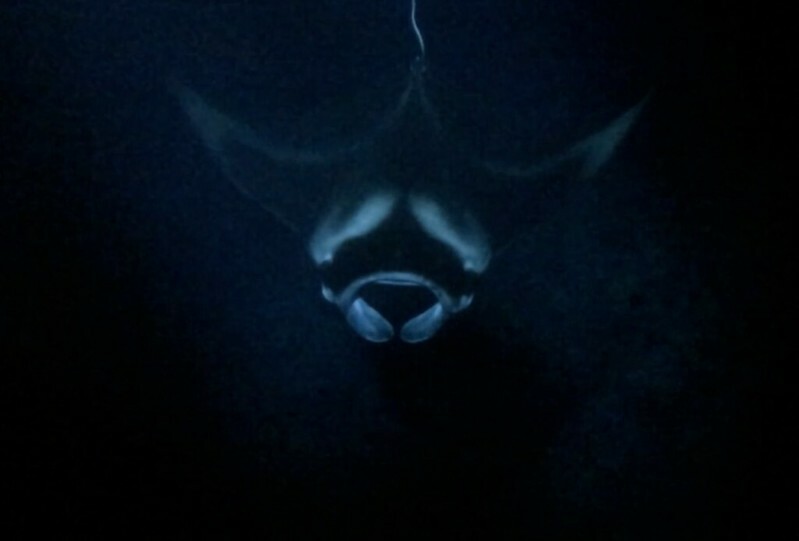 They are nothing less than graceful giants, and as we bobbed on top of the ocean’s surface, the mantas would float, dive, and flip mere inches from my face. 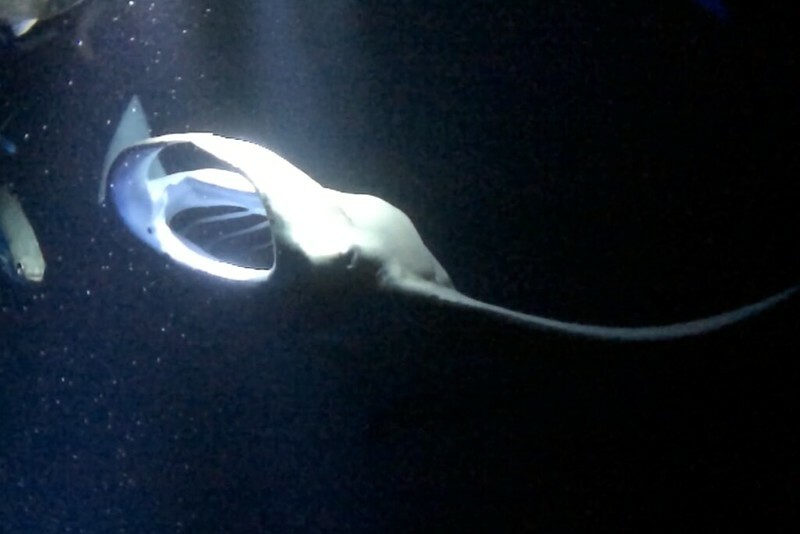 It was an encounter unlike anything I’ve ever-before experienced and will unlikely come across again. Between snorkeling with manta rays and sea turtles, setting foot inside dormant volcanoes, racing along a zip line, or swooping through the sky in a helicopter, there is an abundance of excitement to be found on Hawai’i Island. 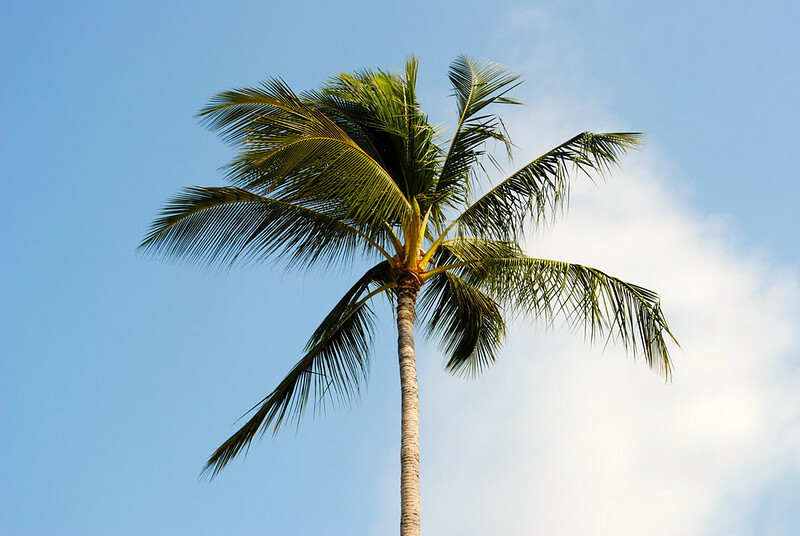 The island always moves at our pace, even if we just want to spend an entire day laying on a beach under the sun. This dramatic and stunning island has long held on to a huge piece my heart, and if you have the chance to experience it for yourself, I’m certain it will steal yours too. The piping-hot malasadas at the world-famous TEX Drive-In should be on your list. You might be lucky enough to spot the rare and endangered Hawaiian monk seal at Kēōkea Beach Park. Pay attention to all posted signs to stay a safe distance away from the seals. 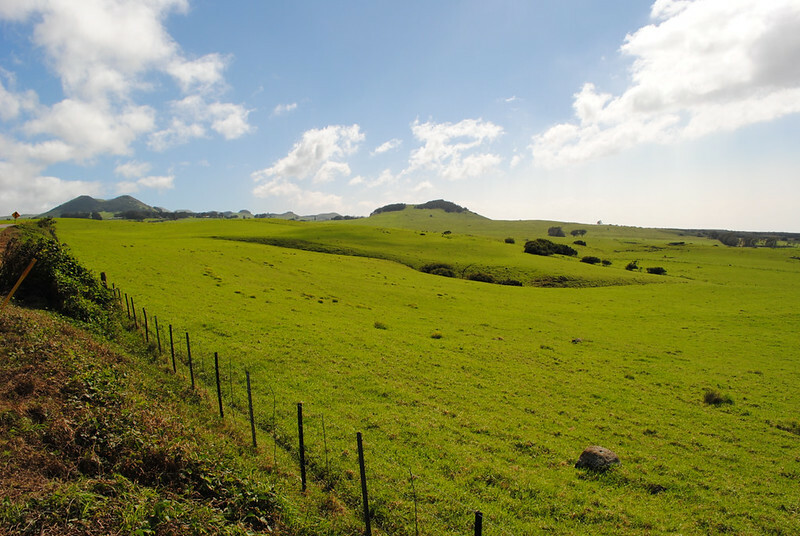 When journeying to Hawi, drive the Kohala Mountain Road (Route 250). On a clear day, you’ll get a stunning view of Maui island! Stay a while! Rest yourself up for more adventure at The Fairmont Orchid Resort for a stay that’s unforgettable. We splurged on a Gold Floor Room and I can assure you it’s worth every penny! 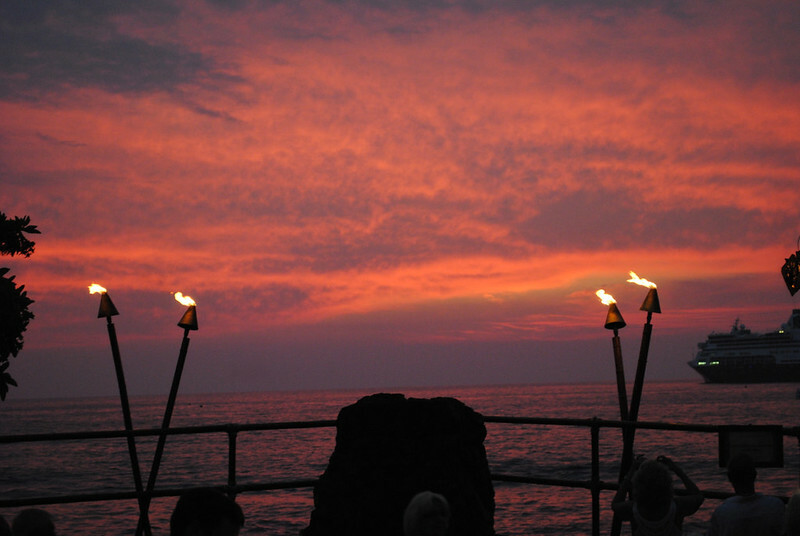 Satiate your hunger with a meal at the Lava Lava Beach Club. 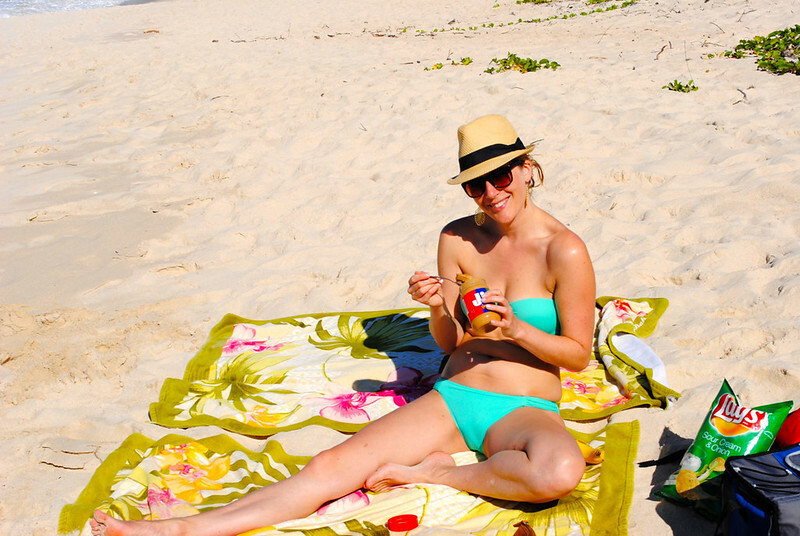 Where else can you sip on a Mai Tai and nibble on coconut shrimp while digging your toes in the sand? Lovely…so happy the two of you got to experience such a place and with your wedding there, a forever memory to cherish.